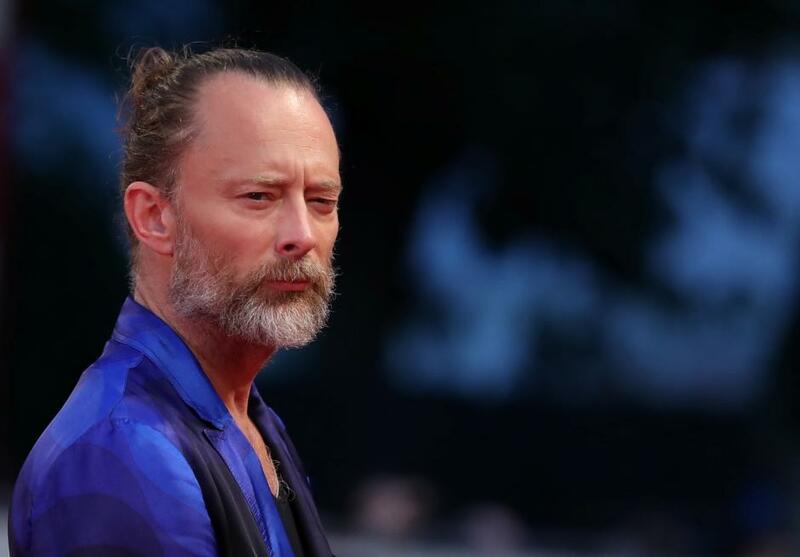 Thom Yorke’s “Suspirium” has been stuck in my head for a long time now, but it doesn’t mean it’s a good pick for a horror soundtrack. Here’s my short take on Luca Guadagnino’s ominous score. Yorke is an indisputable king of the psychedelic rhythms of rock blended with electronics. Radiohead – although it took me years to admit it – is a product of sheer brilliance. This very kind of music is extremely cinematic too. The way “You and Whose Army?” added to the particular sequence of “Peaky Blinders” gave me shivers. And it brought even better results in the critically acclaimed, Cannes-winning film by Denis Villeneuve called “Incendies”. Combined with the stunning camerawork, that Radiohead piece echoed with a truly haunting contrast. Even an average movie like “50/50” became a bit more memorable, when “High and Dry” played to accompany the protagonist as he finds out about his cancer. These examples prove the power hidden in Yorke’s compositions. Having said that, “Suspirium” and the vast majority of “Suspiria” score just didn’t work for me. The secret to the best movie scores – at least in my cultural opinion – is that the music should never live its own life and detach itself from the screen. Naturally, you may bring many soundtrack examples, which became scene-defining and where the score is exactly what made these moments so memorable. “The Mission”, with the Pan’s flute, the unforgettable theme from “The Godfather” or more recently “Time” by Hans Zimmer (below). They created truly unforgettable scenes. Nonetheless, none of those themes became a distraction. And that happens more than once with Yorke’s score. It’s just too complex, too structured in its own haunting, uneasy manner. “Has Ended” is an example of a magnificent piece of eerie trance, with its weirdly hypnotic, a bit melancholic vibe. All of “Suspiria” soundtrack is an admirable project to listen to on its own, but it needed too much of my attention during the screening. I’m not a fan of that remake – to say the least. The person to blame is obviously Luca Guadagnino, whose illusion of grandeur made him blind and way too self-confident about his own craftsmanship. It’s also reflected in the score. Guadagnino allowed Yorke to work freely and the music seems like a project that lived its own life. Horror – even in an author cinema like “Suspiria” – is quite a unique case when it comes to music. While I am far from claiming that the screeching violins do the job (because they don’t), Yorke’s work is just too convoluted. Even the peak scene including “Volk” felt distant and without the flair. The asymmetric theme, often changing over six minutes, doesn’t match the dynamic, heavily expressionist dance choreography. It’s all as if Yorke channeled all of his disturbing feelings into the score, which dug too deep for the scenes it accompanied. So, that’s my take on the “Suspiria” score. What was your opinion? Did you think the soundtrack by Tom Yorke fit the visual aesthetic of Luca Guadagnino?